There are certain parts of a car that requires prompt attention when a problem arises. One of them is the engine. The most common malfunction of an engine is a vacuum leak. It needs a solution fast so your engine can operate at full efficiency. Engine vacuum helps operate car accessories like the power brake, cruise control systems, and climate control. Engine pistons produce a space in its downward direction which enables the air/fuel mixture to supply the combustion chamber. When a vacuum leak, it disrupts the standard vacuum that the running engine produced. The condition alters the engine’s vacuum pressure, and you might notice the engine speed fluctuates up and down as the motor computer struggles to find an equilibrium. If the car accelerates, it will lack power and react slowly to throttle input. There is also a decrease in fuel mileage. If you notice these signs, a damaged vacuum is causing these things. The engine vacuum provides operational power to the transmission that helps in shifting gears properly. 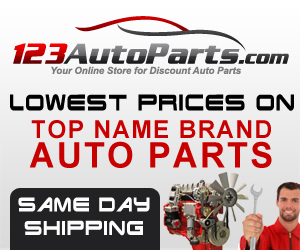 A leak in the engine vacuum can result in weak or inaccurate transmission shifting points. You might be having problems in starting your vehicle if your car has a vacuum leak. The leak can hinder the action and function of the carburetor and fuel injection system thus affect how you start your vehicle. A vacuum leak can result in reduced acceleration and reduced engine power. The leakage also reduces the overall pressure and force produced by the engine during combustion. 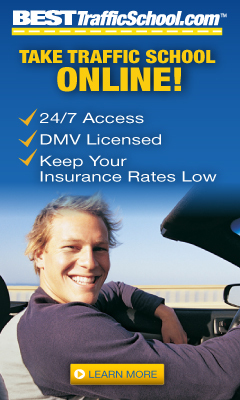 You will notice there is a stumbling or hesitation in your engine during acceleration. Start the process with the engine cold and the car level on the ground with emergency brake set. Make sure that you put on the protective glasses and gloves. Be careful when using the carburetor cleaner it is flammable. 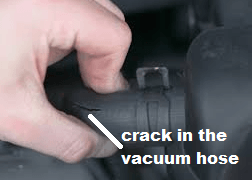 A leak can be due to cracks or old hoses. It can make the engine stall, affect gas mileage and idle poorly. The hood temperature makes the vacuum lines become hard and resulted to vacuum leak. 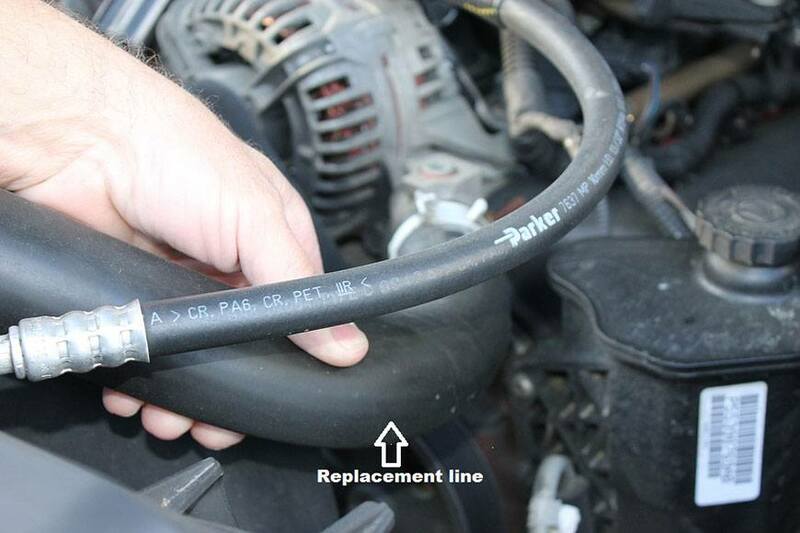 Remove the old vacuum line and check if there is something that blocks the hose. Use a vacuum or fuel hose to install a new tube. 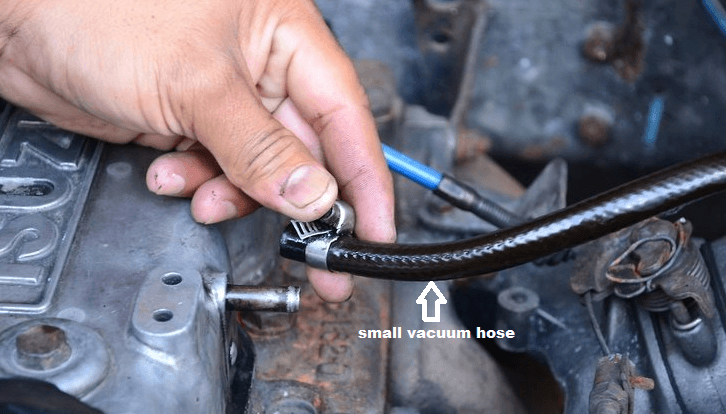 If you cannot find broken vacuum lines after a thorough inspection, you can use carburetor cleaner to check for leaks. 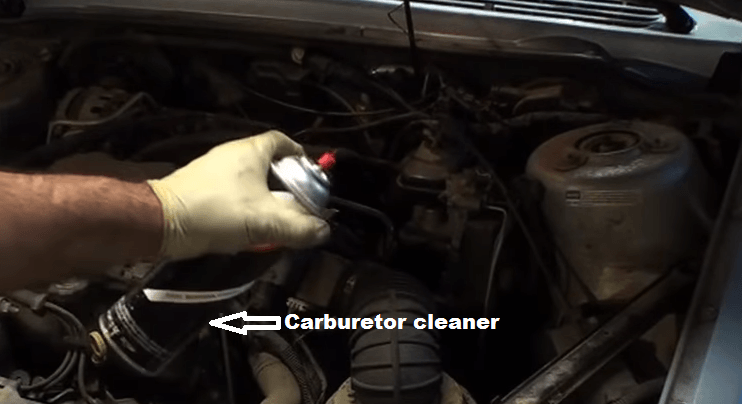 If you still cannot find the leak, use the Carburetor cleaner. Turn on the motor and allow it to idle. Get the carburetor cleaner and spray it at the throttle gasket. If the washer failed, the engine idle speed might increase as the cleaner burns. The engine will temporarily smooth out if it is idling harshly as the cleaner is used up. Spray cleaner around the base gaskets and intake manifold plenum as you observe the engine speed. If the engine speed increase, it is an indication that the gasket has failed. 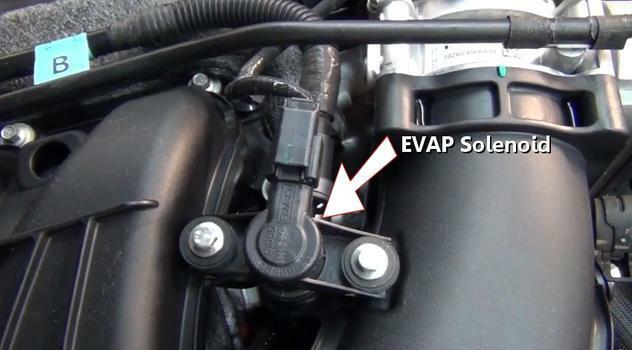 Check the external components like the valves, connections, and the EVAP control solenoids as you observe the engine speed. To work on the brake booster, it needs a massive amount of vacuum and can result in significant leaks. 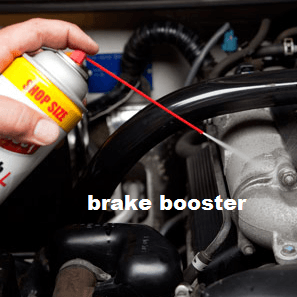 Spray the cleaner around the brake booster as you observe the engine speed. In case of holes, you will hear a hissing noise coming from the brake pedal if the brakes are applied. It is also a sign that the booster has failed. Pinching the supply line to the accessory is yet another method to check a vacuum link. Observe the engine speed. An increase indicates that there is a leak. Inspect if the small vacuum tubes have broken pieces and cracks. 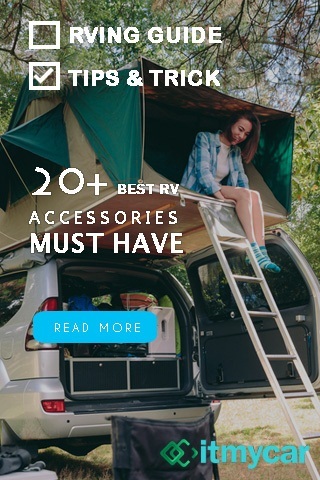 The hose provides vacuum to different accessories like the air/heater conditioner. It is also possible to leak the dashboard close to the heater plenum. To repair the problem, you can use a small piece of vacuum line as a connector and return the air conditioner to its proper functioning. 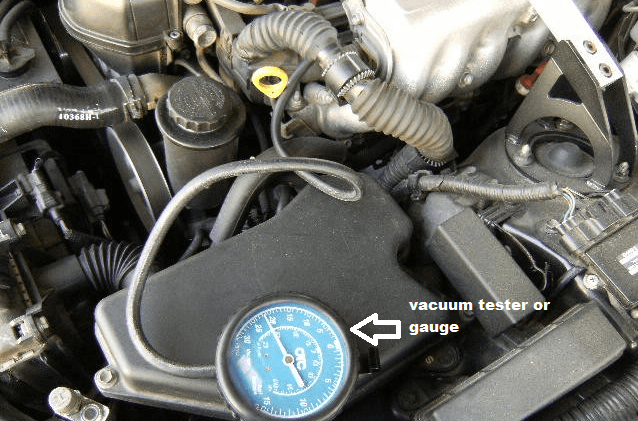 In checking the external system for leaks, use a vacuum tester or gauge. You can do this by disconnecting the vacuum tube from the engine and connect it to the tool. Pump the tester and check the vacuum, if it is working correctly, it should hold the space. If you see a small amount of leakage, it is normal. If you cannot find the leaks, but you are sure that your vacuum has seepage it is best to resort to other methods such as the professional method and the smoking out holes. Vacuum leaks are not a simple car problem. Even if you are taking care of your vehicle well, they do happen. Sometimes you are not aware that your vacuum leak and you might have been spending money trying to detect what is wrong with your engine. This guide on how to find a vacuum leak shows you the symptoms of seepage and the steps on locating it. You don’t have to hire an expert or bring your car to a mechanic and spend hundreds of dollars to fix it, all you need is some knowledge about the vacuum and an easy to follow guide.